This was a true labor of love. I hope that you will use this to learn about vegan foods and see how easy and wonderful it is to be vegan. Once you see how many incredible things there are to eat, you will understand that there is no reason to have to kill an animal who wants to live just so you can eat. I tried my best to make sure that you can get everything you will need from your local supermarket. Also, you won’t need any special equipment – just any old blender and a food processor. However, there is one ingredient that you have to get your hands on. It’s just too good to leave out. You can pick up a container from a specialty/health food store near you or you can order it from amazon. Just search “nutritional yeast flakes.” It is considered a super food and has a nutty, cheesy flavor. It has vitamin B-12 and is a great source of all 18 amino acids, protein, folic acid, biotin and other vitamins. It is also rich in 15 minerals including iron, magnesium, phosphorous, zinc, chromium and selenium. I’ve also included links for some yummy desserts that will definitely satisfy your sweet tooth (see below). Dinner – Have dinner out – see below! Dinner – After a week’s worth of cooking – it’s time to take in! Stir oats into rapidly boiling water. Boil for one minute. Stir occasionally. Remove from heat, cover and let sit a few minutes. Add banana slices, chopped walnuts, maple syrup and as much non-dairy milk as you like. In a lightly oiled pan over medium high heat, brown the tempeh for about 5 minutes per side. Remove from heat and chop into small pieces. Saute onion in skillet with olive oil over medium-high heat until translucent. Add garlic and cook a few minutes more. Transfer to food processor and reserve skillet. Add tempeh, lentils, walnuts, flour, basil, onion powder, salt and pepper to the onions and pulse until walnuts are fine and it all comes together. Form into 8 thin patties. Heat canola oil in the skillet and pan fry patties over medium high heat, adding more oil as needed. Brown on both sides. Remove from pan and drain on paper towels. Layer two patties and your favorite toppings between a bun and enjoy! place all ingredients in a blender and blend until smooth. Pour into a saucepan and heat over medium high until heated through. GRANOLA – (if you don’t want to make this, you can certainly just buy granola at the store). Preheat oven to 325. Line a baking sheet with parchment or foil. Combine all ingredients except raisins in a large bowl. Spread onto pan and bake about 20 minutes, stirring once halfway through. Cool, then add raisins. Store in air tight container. In a medium sized bowl, mash the tofu with a fork. Add the mayo, turmeric, onion powder, salt and pepper and combine. Stir in the onion and celery. Place 2 c water, corn meal, and salt in a medium saucepan. Bring to a boil and cook for 10-12 minutes, stirring constantly. Transfer to a 9 or 10” pie dish and spread over the bottom and sides of the dish. Heat olive oil over medium high heat in a small pan and cook onion and garlic for 5 minutes. In a large bowl, combine rice, beans, onion and garlic, tomatoes and chili powder. Spread over polenta. Spread salsa on top of rice mixture. Bake for 30 minutes. Let cool for 10 minutes while mashing to avocados, and tossing them with lemon juice and garlic powder. Season with salt. Place smashed avocados on top and enjoy! Combine all ingredients except the kale in a blender and blend until smooth. Add more water if needed. Place the kale in a large bowl. Pour sauce over kale and combine well. Heat tortillas in a frying pan in a tiny bit of oil until lightly browned on both sides (or just heat for 15 seconds in microwave). Spread bean mixture down the center of each tortilla. Spoon mashed avocado over beans and top with non-dairy sour cream. Roll into a burrito. In a large skillet, heat olive oil over medium heat and cook tofu about 5 minutes, stirring gently, and drizzling 2 t soy sauce over after the first few minutes. Remove tofu from pan and set aside. Saute shallots, garlic and ginger, adding a little more oil if needed, for 5 minutes. Meanwhile, in a small bowl, combine curry paste, water, remaining 1 T and 1 t soy sauce, and agave. Add tofu back to pan along with the curry mixture. Cook another 5 minutes. Add basil and cook 2 minutes more. Cook short-grain brown rice according to package. Stir in soy sauce, garlic powder, onion powder, curry (optional) and a dash of turmeric. In a saucepan over medium heat, combine the salsa, pb, syrup, water, soy sauce, and ginger. Stir to blend into a sauce. In a large bowl, pour over cabbage. Toss. You really don’t need a recipe here. Just make this as you would have made scrambled eggs, only use the tofu in place of the eggs. I saute onion in a bit of oil, then add some mushrooms and spinach and then add in the tofu with a few dashes of turmeric (for color) and some salt, garlic powder and onion powder, and heat through. Place all ingredients in a food processor and process until creamy. You may need to add a bit more of the liquid, 1 T at a time, to get the consistency you like. Place hummus on a tortilla and add lettuce, tomato, avocado, pickles, and anything else you like. Roll up into a wrap. Combine chickpeas peas and potato starch and form into 4 oval patties. Heat sesame oil over medium heat in a skillet and cook patties until brown on both sides, about 4 minutes each side. Then cover and cook for an additional 4 minutes. In a small bowl, combine the soy sauce and syrup. Pour over patties and heat through. Mix all but noodles in a bowl. Toss with noodles. Cook spinach for 1 minute in large pot of boiling water. Drain and pour into bowl of ice water to stop the cooking. Drain again. Crush the sesame seeds with a mortar and pestle. In a small bowl, combine seeds, soy sauce and syrup. Toss with the spinach. Mash chickpeas peas in a medium sized bowl. Add remaining ingredients and combine. Preheat oven to 350. Mash all ingredient together in a large bowl. In a 9 x 11” pan, spread 1/3 of the marinara sauce on the bottom. Stuff the cooked shells with the tofu ricotta and pour remaining sauce over the top. Bake, covered, for 30 minutes. Place all dressing ingredients in blender and blend until smooth. Break the lettuce into pieces. Toss with dressing. Cube the bread. Shake with olive oil, garlic powder and salt in a gallon size plastic bag and bake at 350” on a sheet lined with parchment or foil for 10 minutes or until crispy. Add to salad. – makes one (if you need more, keep repeating the recipe. It’s best not to double or triple the recipe because it will be hard to know how much batter to pour for each omelet). and any other veggies you like such as bell peppers, mushrooms, etc. You can saute the veggies first, or add them raw. Heat oil over medium high in an 8 inch nonstick pan. Pour batter in pan. After one minute, sprinkle your veggies on top. Cook 5 minutes. Fold in half and cook 2 minutes more. Process ingredients from parsley on in processor. Toss as much sauce as you want with the pasta, avocado and tomatoes. Serve room temperature or cold. Here’s a couple of links for vegan options at many popular chain restaurants – http://www.mfablog.org/2014/01/8-restaurants-you-never-knew-had-veg-options.html and http://www.peta.org/living/food/happy-cow/chain-restaurants/. Also, most Italian restaurants will gladly make pasta with veggies and marinara, or you can ask for pasta with an olive oil, garlic, lemon and white wine sauce and it always comes out delicious, or pasta puttanesca is great without the anchovies and cheese. This with a side salad and some bread dipped in olive oil and a glass of wine – a perfect meal! Just be careful – if you go to a place that makes their own pasta, chances are good that there is egg in it, so you may need to order their gluten free pasta which is usually egg-free. Just ask to be on the safe side. And then of course there’s many, many vegan options at Chinese, Thai, Indian and Japanese restaurants, to name a few. Just tell the server you are vegan and they should let you know what you can order. Saturday night, soak the cashews for tomorrow. Just place them in a bowl, cover them with water, and let sit on the counter overnight. In a large bowl, whisk flour, baking powder, salt and cinnamon. In a separate bowl, whisk water and maple syrup. Add liquid to flour mixture and whisk just to combine. Gently stir in banana. Should be lumpy. May need to keep adding more water if gets too thick. Lightly oil a skillet and heat over medium high. Pour 1/4 c batter for each pancake and cook until bubbles appear in center of each, and then flip and cook about 1 minute more. Serve with maple syrup (warmed if you like). Blend cashews, tofu and nutritional yeast in blender until creamy. Add olive oil to large pot over medium high. Saute onions for 5 minutes. Add garlic and cook 2 minutes more. Add seasonings. Add spinach and cook to wilt. In a large bowl, mix the tofu mixture and the spinach mixture. Taste and adjust seasonings if necessary. Pour into crust. Bake 10 minutes, then lower to 375 and bake 30 minutes more. Rinse and drain the cashews. Place all ingredients, but the cucumbers, in a blender and blend until smooth. Pour over cucumbers and combine. In the mood for Japanese? Just ask about all the wonderful rolls they can make with vegetables! I love cucmber, avocado and oshinko. Indian maybe? Try Vegetable Curry, Samosas, and Lentil Dhal (just ask for no butter/ghee). How about Chinese perhaps? How about Vegetable Dumplings, Homestyle Bean Curd and Vegetable Fried Rice. Want more Thai? Massaman Curry Tofu, Vegetable Pad See Ew, and Fried Rice (just be sure to ask for no egg). And who doesn’t love Italian? See above for suggestions! Middle Eastern – hummus, tabouleh, stuffed grape leaves, baba ganoush (make sure no mayo), and falafel. Please choose the sweets you want to make and then add the necessary ingredients to the shopping list. This chocolate cake is not my recipe, but I have to list it here because it is superb! popcorn (most brands have oil and not butter, but please check to be sure), nuts, more fresh fruit and veggies, potato chips, oreos… There are lots of unhealthy snacks that are in fact vegan. If you are a junk food junkie – check out this list and click on snacks (you won’t believe how many there are): http://www.peta.org/living/food/accidentally-vegan/. I hope I have inspired you and shown you how easy it is to go vegan. After a week of eating cruelty-free, you will see there is no reason to kill a sentient being for your food. No reason at all! It looks lengthy – but you will be crossing out many of the items as you probably already have a lot of them. Just copy and paste the list into a new document and then delete the items you don’t need and print! ** – means you need to check the ingredients on these starred items and be sure there is no dairy, egg, meat, fish, honey, or gelatin. Should be very easy to find a vegan brand. ?? – means these items are only needed if you will be making your own granola. The amounts in this list are for the recipes as posted, so if you are halving the recipes, for example, please decrease the amount of the items in this list accordingly. Non-dairy milks – so many to choose from!! There’s soy, rice, oat, 7 grain, hemp, coconut, almond, hazelnut, cashew, and flax. Find your favorite. Mine is 7 grain! 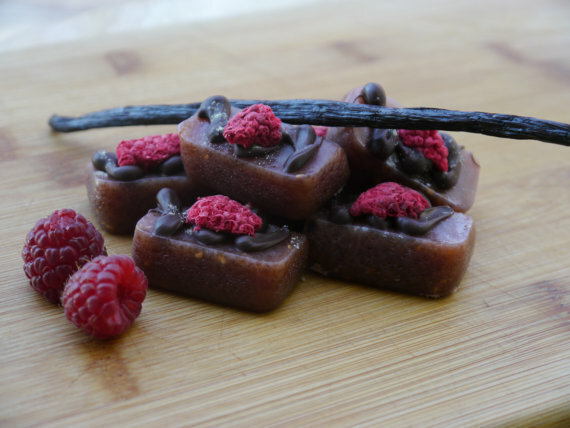 Valentine’s Day is coming up and who doesn’t love homemade vegan caramels? 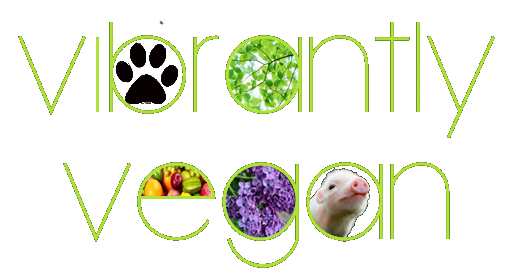 Since I love to support small vegan-owned businesses, I have arranged for my followers to get 10% OFF any order using activation code VIBRANTLYVEGAN. Valentine’s orders need to be placed by February 9th, but you can pre-order starting today. I already ordered for myself – some lavender, some ginger, and a few samplers too! Yum! And ONLY $12.00 for 12 large pieces, before the 10% discount. 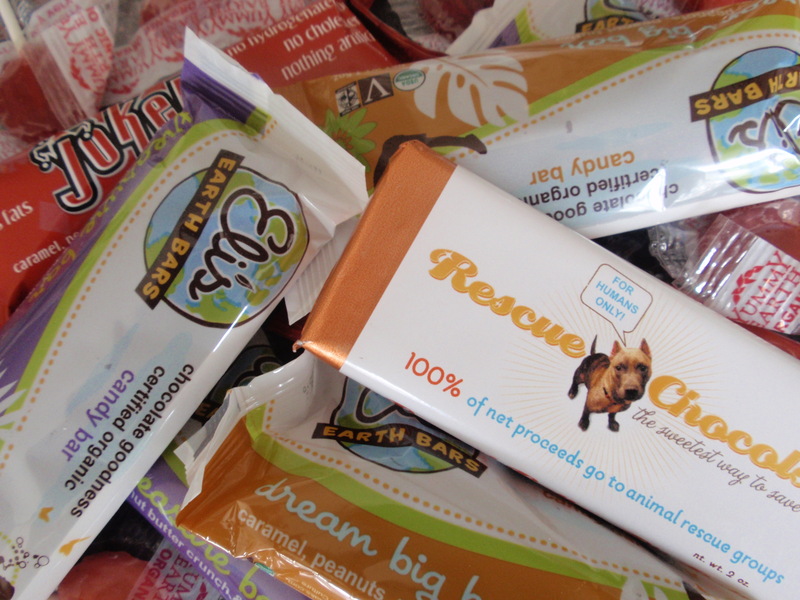 Just click HERE and indulge in some vegan goodness! Do you think it is good for you? Just because you have been told something your whole life, does not mean it is true. If you consume dairy – if you drink cow’s milk, eat cheese, butter, ice cream made with cow’s milk – then you really should read this. Please just read so you know the issues and can educate yourself. Did you know that the dairy industry has been lying to you? They have you believing you need cow’s milk for strong bones. The countries with the highest rates of dairy consumption have the highest rates of osteoporosis. There are many healthier sources of calcium, such as spinach and almonds. Think you need cow’s milk for vitamin D? Cow’s milk does not even naturally contain vitamin D – it is fortified with it. Vitamin D comes from the sun – not cow’s milk. are you really okay eating the following? PESTICIDES, just to name a few. because that is what’s in your milk! What if you don’t care about your health or about consuming really disgusting stuff? Well, then maybe you have a heart. Maybe knowing that dairy cows have the most miserable lives of any factory farmed animal, imho, because they are raped and forced to have babies so we can take the babies away from them after only 24 hours and steal the milk meant for those babies, while the babies are either forced into the same miserable life if they are female, or are killed shortly for veal if they are male. Maybe that is enough to keep you from consuming dairy. What if you really don’t care at all about your health or what you eat or about being morally and ethically decent and you only care that you like the taste of cow’s milk? There is rice milk, soy milk, coconut milk, almond milk, cashew milk, oat milk, 7 grain milk, hemp milk, hazelnut milk, and many more. I am sure you can find at least one that you like. I love 7 grain milk in my cereal, hazelnut milk in my coffee, and soy milk for baking. My personal favorite is So Delicious’s cookie dough! Also – tofutti sour cream is indistinguishable from sour cream made from cow. And there are cream cheeses and cheeses and butters, all made without any secretions from a living animal. So – I hope I have explained the situation well and given you enough reasons to at least do some research on your own and learn that there is no reason at all to consume dairy. We are the only species to drink the milk of another species. It is not natural. It is cruel. It is unhealthy. And frankly – it is really strange and creepy when you think about it. Please message me with any questions or for more nondairy recommendations! And please check out these links. Know all the facts before you and your loved ones consume dairy!